Connecting Today's Technology Infrastructure ~ When it comes to wiring and installation, hire a qualified, experienced contractor that guarantees their work! 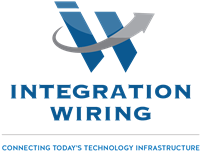 Integration Wiring, LLC is the provider of choice for customized residential and commercial low-voltage (<70V) wiring solutions. We promise quality, competitive pricing, quick response time and friendly customer service. Our innovative safety technology, Eye Remot, offers closed-circuit television (CCTV) equipment and state-of-the-art mobile digital video recorders (DVR) to help businesses monitor their workplace productivity and security. Homeowners also benefit from the advanced monitoring features of this cutting-edge technology. Serving all of Central Florida and surrounding areas.